With finals week comes the heightened state of stress high school students are all too familiar with. It’s a week that can be characterized by between-the-bell study sessions, all-nighters spent rummaging through notes and moments of pure insanity when all hell seems to break loose. However, with the freshmen students experiencing the roller coaster of finals week for the first time at RBHS, many found themselves surprised at the rigor and difficulty of it all. Though she had final exams during her eighth grade year at Ann Hawkins Gentry Middle School, freshmen Gracye Allen didn’t expect the level of demand her finals required. While some students are starting feel the stress of finals at a high school level, freshmen Sejoon Jun made a conscious decision to make his grades work in his favor if he were to get a less than desireable final exam score. The stress that final exams ensue is not isolated to a select few. According to an article from the Greater Good Science Center of the University of Berkeley, a study of students from high-achieving high schools in California reported that 70 percent of students felt stressed because of their school work and 56 percent constantly worried about grades, tests and college acceptance. Guidance counselor Jordan Alexander said although he has not seen the numbers of students who come in for stress-related problems increase around finals week, he recognizes student apprehension. He said throughout the year, academic-related stress, along with career planning and personal problems are the most discussed topics in guidance. 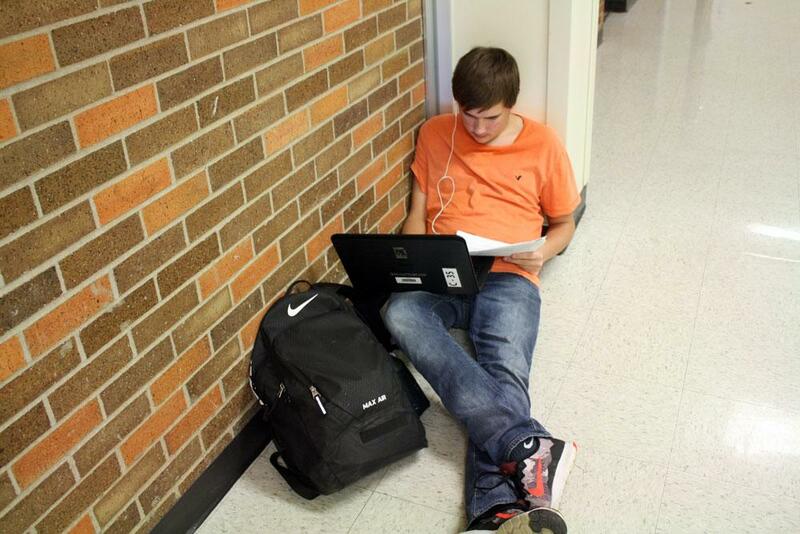 For Allen, the burden of finals is not the only thing that makes freshmen year difficult. She said getting used to a new school environment and the organization of exams was challenging at first. Even though Alexander said stress is a natural response when it comes to things like finals, he also believes it needs stress relieving activities to counteract it. From his time helping students manage stress among other mental health issues for 13 years, he believes a student’s personal experience is the best teacher. What has your experience with finals week been like this semester?